Thank you for your excellent analysis. Your blog is now a daily read for me! 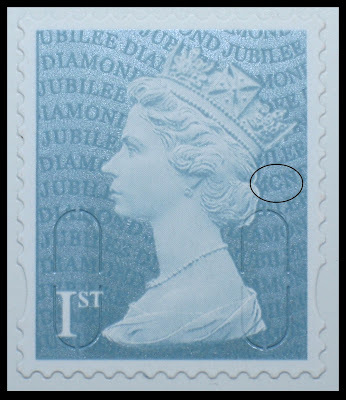 I am quite sure that this is already known, however, I have two copies (alas, non cylinder) showing Short Bands Top to a similar degree as those shown with SBB. 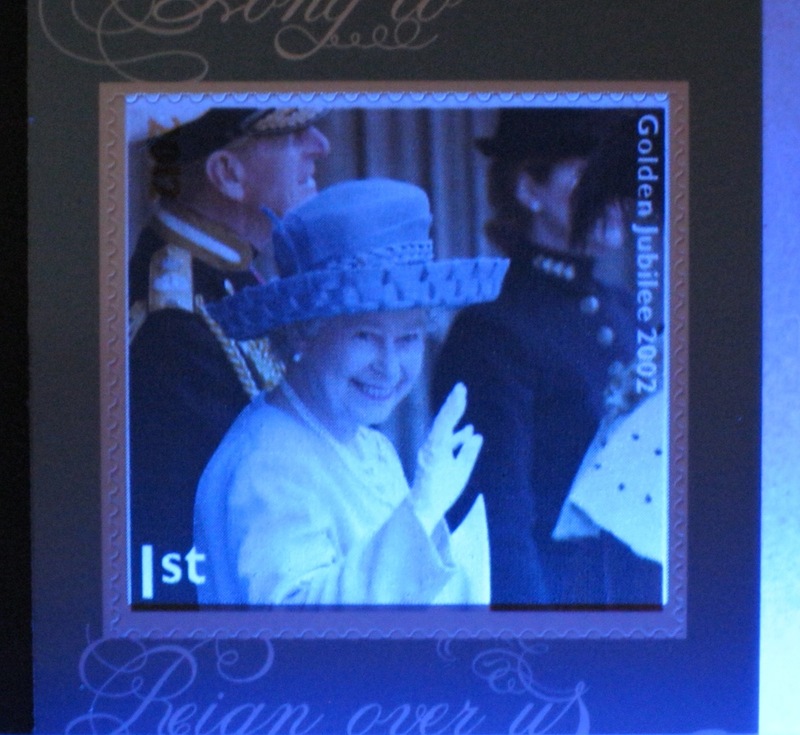 The colour register is better on these than my other copy, where, unlike your image has a large shift of magenta, mine has a large shift of the blue. (Again, non cyl). 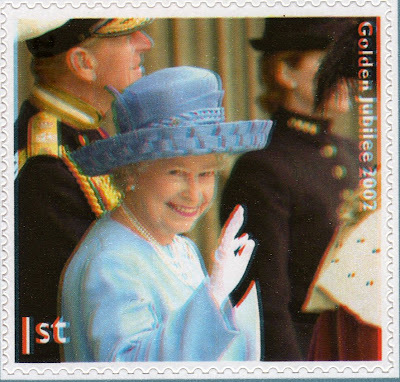 There is a shortage of PSB's at Tallents House.They will be sent out with the mint set of stamps when they have some. Phoned Tallents House Wednesday as my regular order for Diamond issue 31st May has not arrived. Advised that a letter of appology is being sent out but they have run out of stock of the PSB and awaiting further supplies. May have some on the 7th but cannot guarantee. Thanks Doug. I know at least one TH collector who received his usual standing order on the due date. I knew of some problems - PSBs and sheets were issued to post offices first. I thought SO collectors were next and we dealers (who normally get our stocks in advance) last! "This issue would have normally been printed in January but could not be printed until late March due to the late tariff announcement and indeed even when it was printed one value had to be reprinted following a late change, hence two different printers for the 4 sheets." - the 77p value being printed by Enschede. Of course this change also affected the stamps in the PSB. 77p is the 20g surface letter rate - I can't imagine that many people actually write letters of that brevity to require such a stamp. If you're sending something of no importance it will probably be less than 10g and so cost 87p by airmail, and if it's any heavier then £1.28 for 20g Worldwide is the next step. 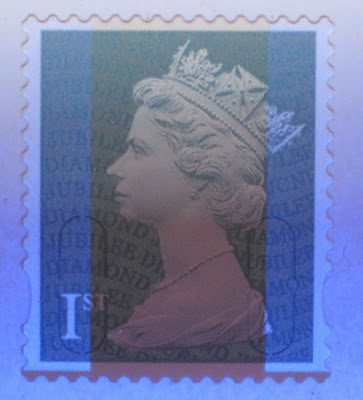 The USA has already abolished surface rates: maybe it's time that Royal Mail did the same? I'd ask the question in the blog proper, but I can't see how I can get a statistically unbiased sample of the population of the country as a whole to make such a question valid ! Thanks for the confirmation of the Tallents House problems. Also tried a number of NW London offices for stocks of the commemorative retail booklet and none had any supplied. Retail booklets are plentiful but most post offices only get them on replenishment, ie when they re-order 6 x 1st that will be the default while stocks last, then they will revert to gold or the next mixed booklet due on 27 August.